Whether you are thinking about the need for a mobile solution for your customers or want to better understand the opportunity to build a mobility practice this session will discuss how you can enhance your Dynamics 365 practice by partnering with Resco. 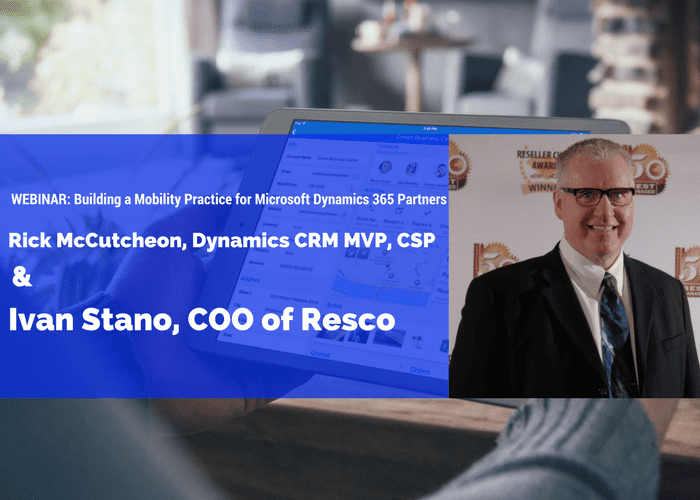 Ivan Stano, COO at Resco, and Rick McCutcheon, Dynamics CRM MVP and CSP will discuss how mobility can accelerate your existing Dynamics 365 practice. Join us to learn more about how Resco provides the ultimate tool for mobile businesses & processes.